Mr. Anthony B. Purcell | CALEA® | The Commission on Accreditation for Law Enforcement Agencies, Inc.
Anthony B. Purcell is the Assistant Vice President/Chief of Police of the University of Alabama at Birmingham. He has a long career in law enforcement, beginning with the Durham County, North Carolina Sheriff’s Department in 1983. 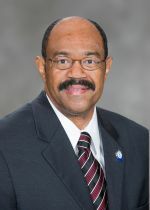 He has held positions as Chief of Police and Director of Public Safety at North Carolina Central University; Chief of Police and Director of Public Safety at the University of North Carolina at Charlotte; and Deputy Chief of Police at Georgia Institute of Technology before assuming his current position in October 2006. He holds both a Bachelor’s and a Master’s degree in criminal justice from North Carolina Central University, and is a graduate of the FBI National Academy, as well as other executive programs. He is a member of several organizations including the International Association of Chiefs of Police and the National Organization of Black Law Enforcement Executives and is the former Southeast Region Director for the International Association of Campus Law Enforcement Administrators. 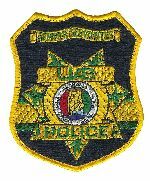 The University of Alabama at Birmingham Police Department has been CALEA Law Enforcement Accredited since July 2008.